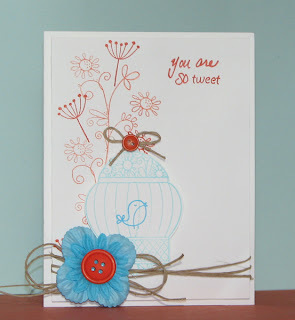 Cardstock, ink, marker: Stampin' Up! Don't forget to check out the HUGE GIVEAWAY I have going on right now. Thanks for stopping by!! I so love your style, Amy; so sweet and fresh! That really is very fresh. It doesn't need anything else. It's perfect. So simple and pretty!! TFS!